Depression in Medical Illness is based on the fact that depression and medical illness are inextricably bound together and must be viewed through a single lens in order to truly understand, diagnose, and treat them. Throughout the book, the authors emphasize not simply a critical distillation and balanced summary of the available empirical data, but equally important, an active synthesis, formulation, and analysis of that evidence.This informs a contemporary biomedical understanding, as well as diagnostic and therapeutic approaches. All of the chapters are authored by members of the Department of Psychiatry at the world-renowned Brigham and Women's Hospital. In chapters devoted to specific medical disorders, psychiatrists with particular expertise in those areas have been joined by other eminent Brigham medical and surgical specialists or subspecialists. This makes these chapters valuable not just to psychiatrists and other mental health professionals, but to a wide range of medical specialists as well. 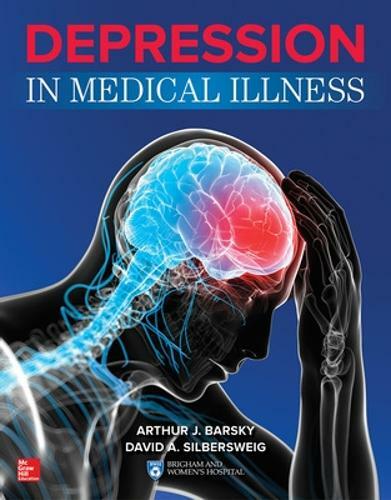 Arthur J. Barsky, MD, Senior Psychiatrist, Brigham and Women's Hospital; Professor of Psychiatry, Harvard Medical School, Department of Psychiatry, Brigham and Women's Hospital. David A. Silbersweig, MD, Senior Psychiatrist, Brigham and Women's Hospital; Stanley Cobb Professor of Psychiatry, Harvard Medical School; Chairman, Department of Psychiatry and Institute for the Neurosciences, Brigham and Women's Hospital. Robert J. Boland, MD, Vice-Chair for Education, Department of Psychiatry, Brigham and Women's Hospital; Associate Professor of Psychiatry, Harvard Medical School.